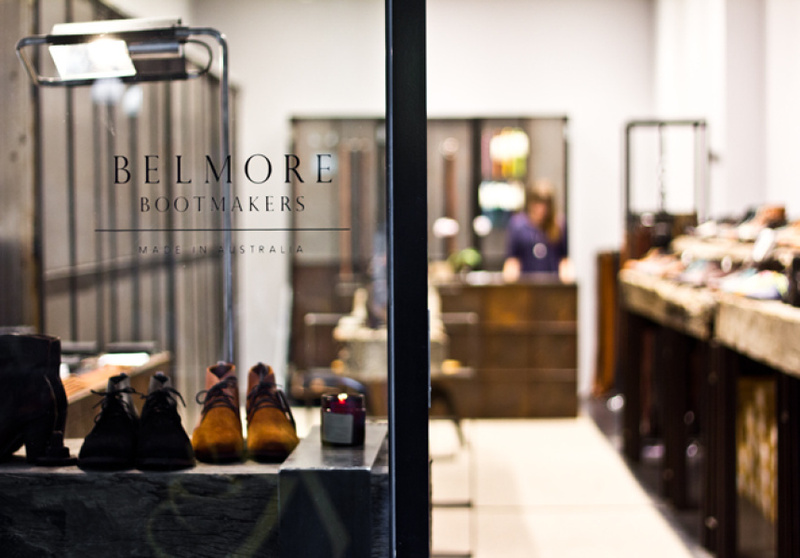 Melbourne shoe brand Belmore pays homage to the 100 year- old, Sydney-based shoe factory where its collections are hand made. 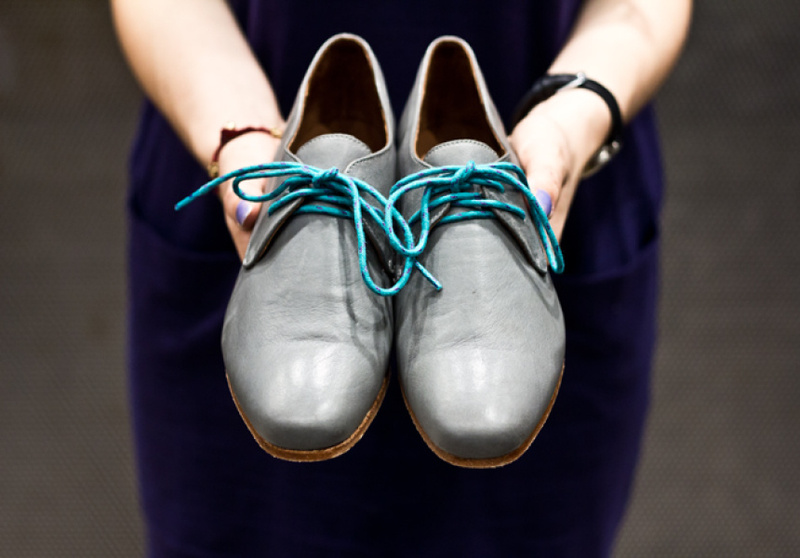 The shop stocks a small but succinct collection of both men’s and women’s leather shoes and accessories – belts, bags and wallets. 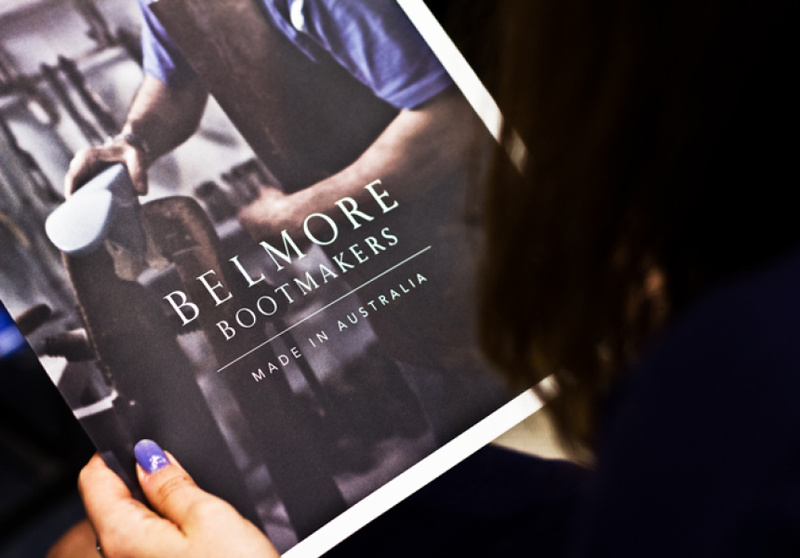 Using simple construction methods and straightforward design, Belmore’s focus is on quality material, function and longevity and the brand has an obvious appreciation of the handmade. Much of its collection is constructed using kangaroo leather, so each piece of this unique, wholly Australian material has different marks, scratches and stains, making each final boot different from the next. Belmore is focused on classic styles with a British influence and this can be see in its take on the penny loafer, Chelsea-style boot, Derby and Oxford. Expect vibrant colours and pastel shades because kangaroo leather lends itself perfectly to dyeing. 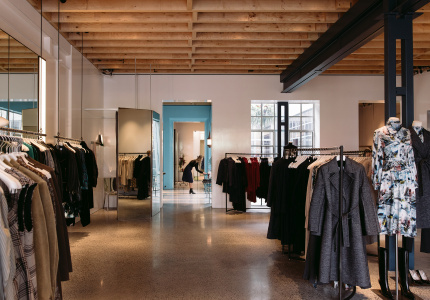 Cast-iron girders and industrial equipment adorn the sparse store, giving the customer a sense of an industrious approach to the art of boot making.